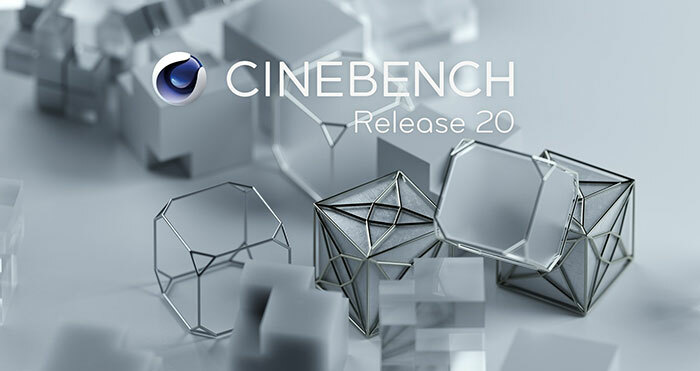 Maxon has released Cinebench R20 for PC and Mac. This is a big update to the popular free benchmark, with its rendering technology now in line with the contemporary Maxon Cinema 4D (R20) software. Cinebench R20 uses a much larger and more complex test scene than R15, requiring about 8x the computational power, and 4x the memory to render it. Unfortunately, due to the big changes under the bonnet, Cinebench "R15 and R20 results cannot be compared," says Maxon. Cinebench is designed as a real-world test so it is important that as a benchmark it keeps up with the software upon which it is based. Maxon says users will see that it reflects "the overall advancements to CPU and rendering technology in recent years, providing a more accurate measurement of Cinema 4D's ability to take advantage of multiple CPU cores and modern processor features available to the average user". HEXUS regularly uses Cinebench in CPU tests, but not in general PC system and laptop tests. Others may use it to help in their purchase decisions, check cooling system adequacy, check system stability - and even chipmakers can use it to help them with their design optimisations. Overall, with the update, the test becomes more relevant to modern systems. An important change in R20 is that Cinebench will no longer test GPU performance. However, the CPU tests will utilise newer processor tech such as AVX2, the Intel Embree ray-tracing engine, and more. Thanks to the use of such modern CPU features Cinebench R20 and Cinema 4D R20 can render scenes as much as twice as fast as previously. 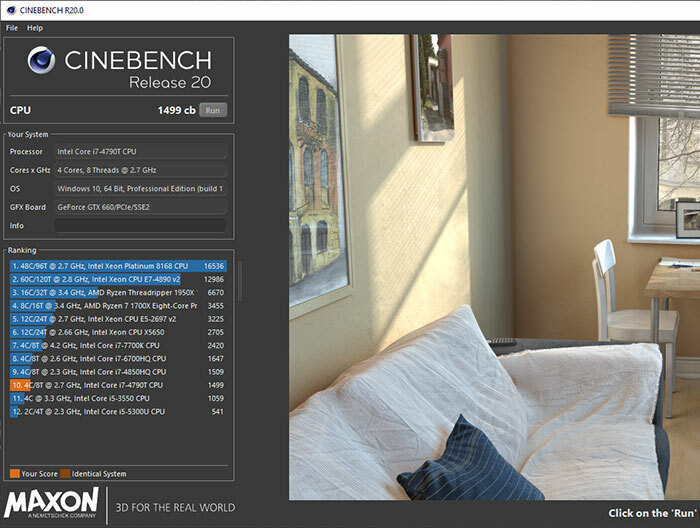 Cinebench R20 is available now, via the Microsoft Store or Mac App Store. A how-to-use Cinebench document is available from Maxon here (PDF). Done my test this morning. Takes a lot longer than R15! I'm not happy about the reliance on using the MS Store, mind you. That store is terrible. At least allow us a choice if you're going to choose something so utterly crap at its one function. Did a test as I wrote the article. My Ryzen 1700X scores within 10 points of the suggested score for that CPU.